Save your money. We don’t want a Christmas present this year. 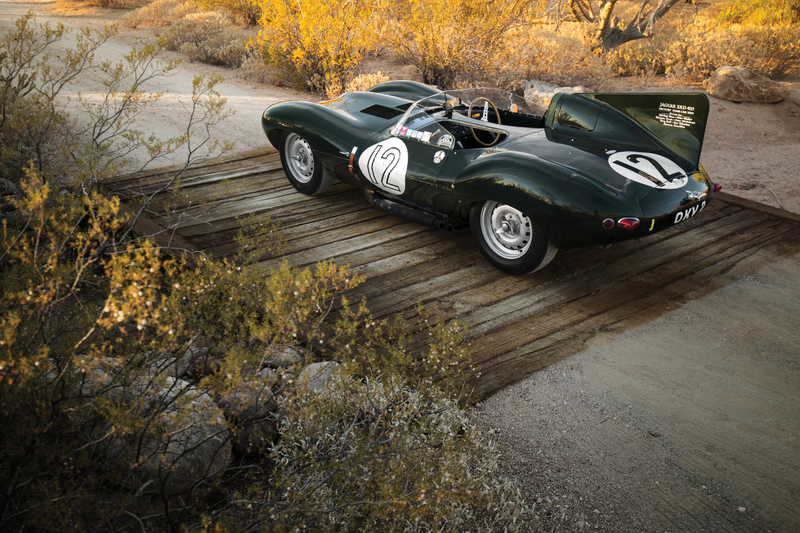 Instead, you can treat us to this gorgeous ex-works Jaguar D-Type, on offer at RM Sotheby’s Arizona auction on 18-19 January 2018. 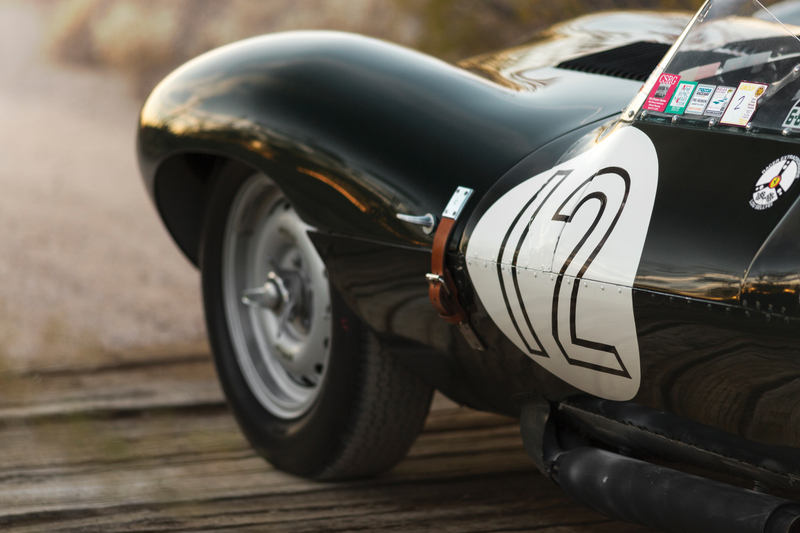 One of the most beautiful cars ever created – and a firm favourite at the Goodwood Revival – this is no ordinary Jaguar D-Type (if any D-Type can ever be called ‘ordinary’). 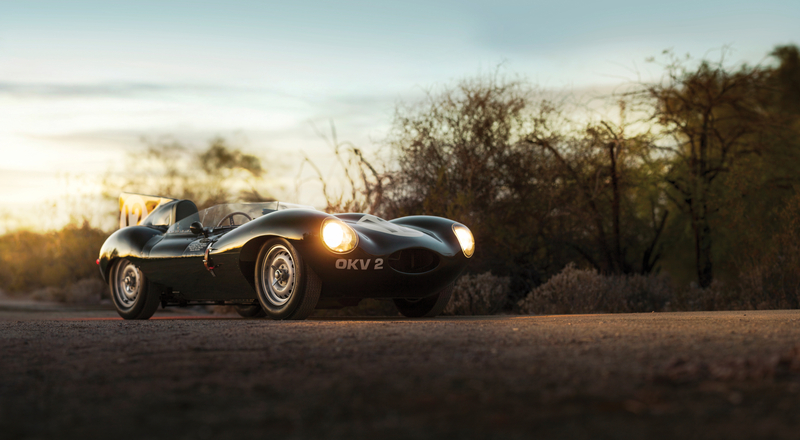 Built in 1954, XKD 403 – to call it by its chassis number – was the third of five competition Jaguar D-Types built by the factory that year, making it one of the earliest existing examples of Coventry’s Le Mans icon. It’s first outing was at the 24 Hours of Le Mans where it was driven by Peter Walker and none other than British racing legend, Stirling Moss. 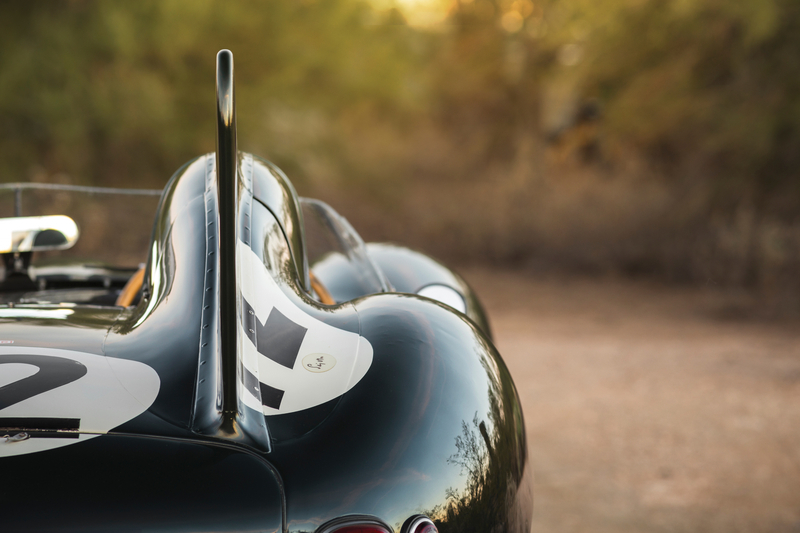 The pairing had finished second the year before and so hopes within the works team were inevitably high for the duos’ debut outing in the all-new D-Type (complete with revolutionary disc brakes). Despite being hampered by contaminated fuel (along with the other works D-Types) Moss was able to put XKD 403 into the lead of the famous French endurance race until brake failure after 92 laps led to the car’s early retirement. This wasn’t the end of XKD 403’s racing career though. 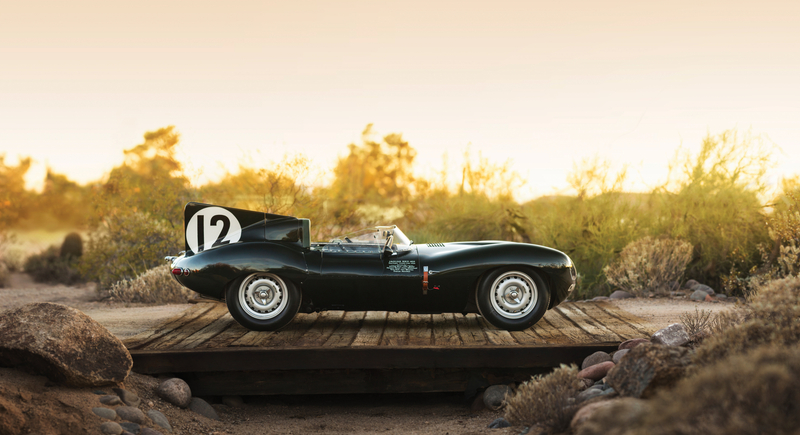 Used extensively to develop the D-Type platform (leading to three consecutive Le Mans victories between 1955-57), the car – painted, of course, in British Racing Green – competed throughout the 1950s, racking up numerous podiums and multiple wins. 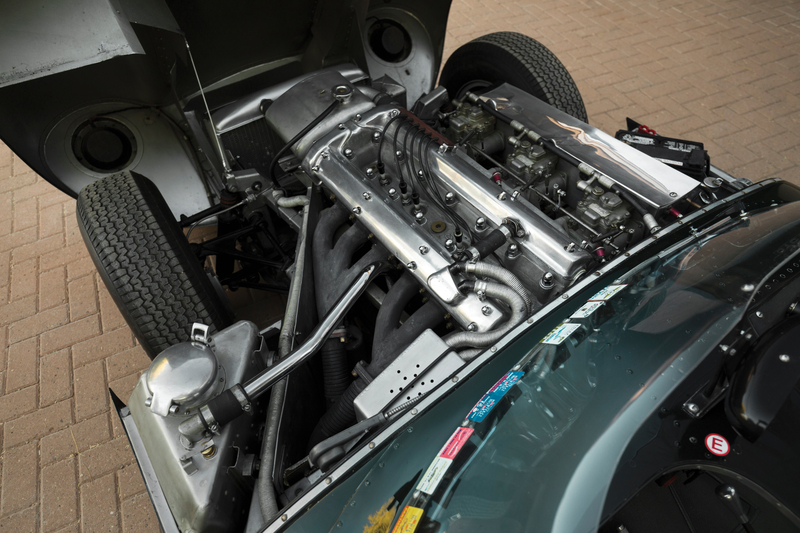 After a couple of hefty accidents later in its life, the D-Type was eventually sold off to Jaguar specialists, Lynx Engineering in the 1980s where marque expert, Chris Keith-Lucas performed an extensive (yet sympathetic) restoration, restoring the car to its 1954 glory. 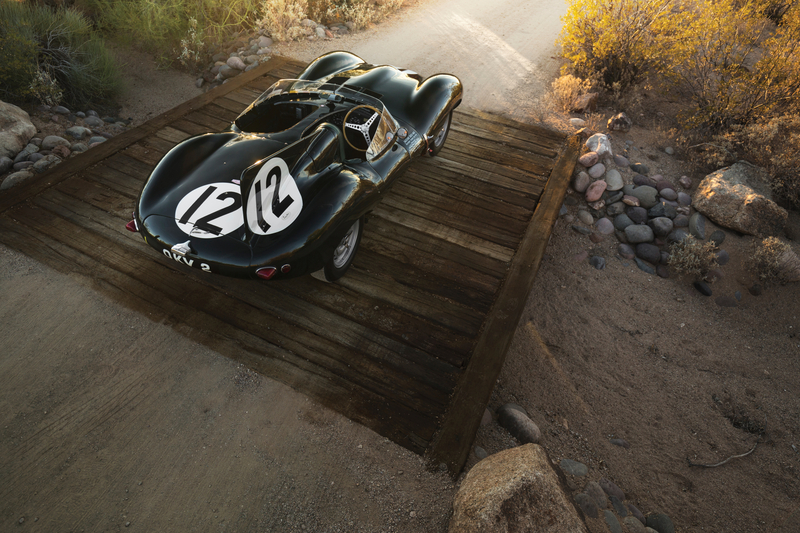 Now offered with a comprehensive history file (complete with factory documentation, Le Mans entry forms and period photographs), this ex-work Jaguar D-Type is sure to prove a very special late Christmas present to one lucky collector.